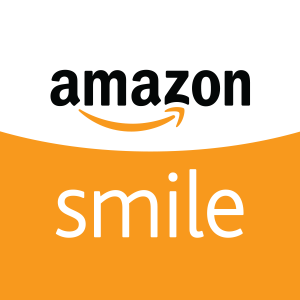 For every purchase you make using AmazonSmile, 0.5 percent of what you spend will be donated to us. Your shopping experience will remain exactly the same and there is no additional cost to you! All you need to do is sign up for AmazonSmile and select us as your chosen charity. Just look out for products marked as AmazonSmile eligible. 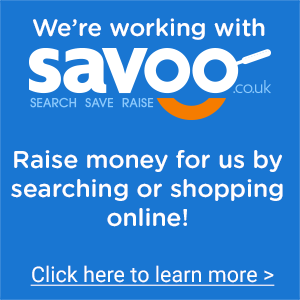 Every time you use Savoo, you can be donating to us by either searching online or using their voucher codes & deals to save money, all at no cost to you. If you’re looking to do some online shopping and want to get a great deal, Savoo has thousands of voucher codes and deals that will help you save money & they will donate to Africa Educational Trust at the same time. Stumped for the perfect present? Good Gifts gives you the opportunity to donate gifts that change lives. The value of your gift comes straight to AET so you can find a thoughtful gift for someone as well as donating to a fantastic cause! You can give someone the passport to a better future. Two pairs of shoes – £18 (gift code 1734) – In Africa, barefoot children risk hookworm infestation that can impair physical and mental development. Employ a School Mother– £27 (gift code 1726) In South Sudan and Northern Uganda, many obstacles prevent girls from going to school. Disapproving fathers have to be coaxed to allow girls to be educated and girls walking to school risk sexual abuse. Our ‘School Mothers’ liaise with families, accompany girls to and from school and provide support. Girl Friendly Schooling – £29 (gift code 1845) – In South Sudan’s classrooms, girls are seen but never heard, forbidden to ask questions or provide answers. Advance the cause of female independence in Saharan Africa by promoting education. A year’s schooling– £30 (gift code 1839) The value of education is incalculable because it offers the main road out of poverty. Surely, the bargain of a lifetime. 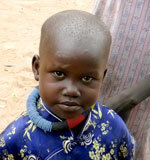 Teach a mother to read – £37 (gift code 1866) – In conflict-areas of Africa, women have missed out on education. Our village literacy groups offer women the chance to improve their future as well as their families’. Travelling library for African schools – £125 (gift code 1244)– Our Mobile libraries enable remote communities to have access to books. These libraries have become both learning centres and social centres for many neighbourhoods. It´s constantly on the move, trundled by donkey or bicycle cart to schools and villages. The libraries are refreshed every month and contain stories that needs to be told. You can now support AET when you shop at over 3,000 retailers online, at no extra cost to you! Give as you Live works with top retailers including Amazon, John Lewis and Expedia to turn a percentage of every penny you spend into a donation to us. All you need to do is sign up to Give as you Live and start shopping! Buy a Reddendi Necktie. For every purchase from the Africa range, Reddeni will donate enough money to help put a child through school for a year in East Africa. Do you buy or sell items on eBay? If so you can choose to donate anything between 10-100% of your final selling price to AET! You can visit our eBay charity page here. You can also give directly online.